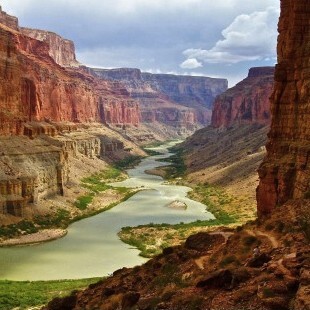 The Grand Canyon is justifiably world-famous for its spectacular scenery, and considered one of the seven wonders of the natural world. 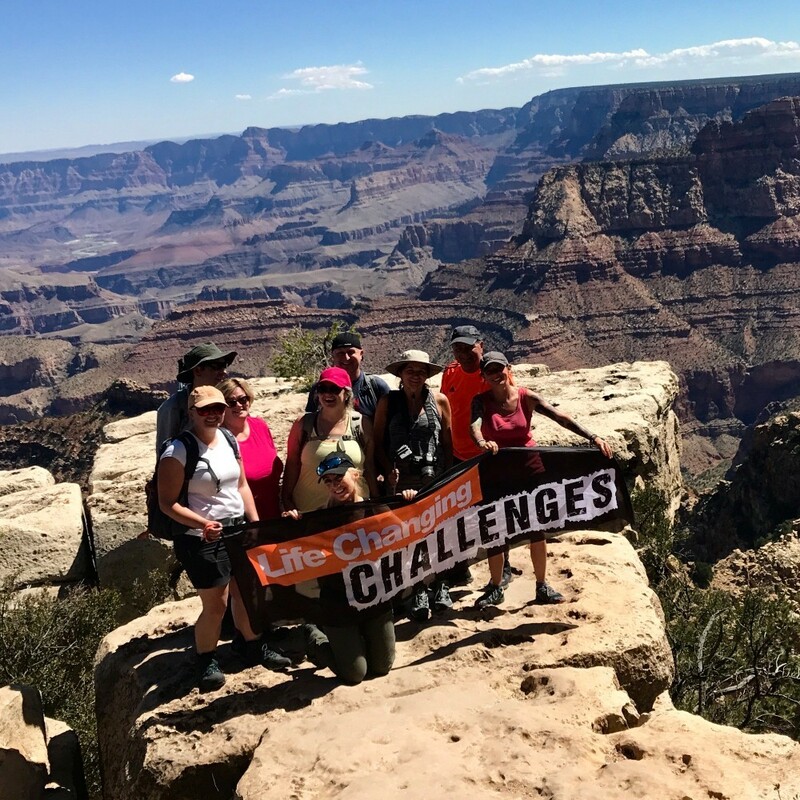 The Grand Canyon is justifiably world-famous for its spectacular scenery, and considered one of the seven wonders of the natural world.At 277 miles long, 18 miles wide and in places one mile deep, it is abreath-taking sight to see – and provides some unforgettablet rekking. On arrival in Flagstaff you’ll havetime to relax and enjoy the area. 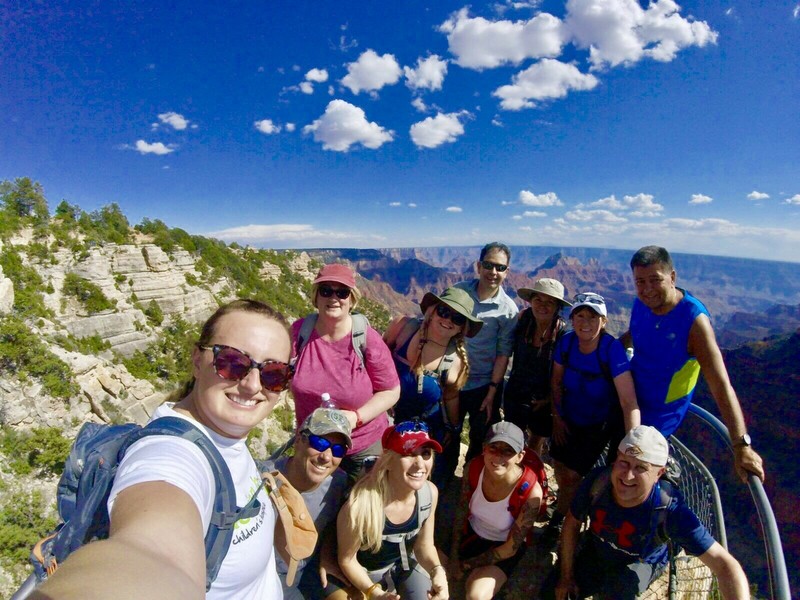 We then base ourselves on the North Rim of the Grand Canyon as this is far better for summer trekking and avoids the intense and unbearable heat of the South Rim. The North Rim scenery and wild life is truly amazing with wonderfu ltrekking throughout taking us to Angel Point, the Nankoweep Trail and thefamous East Entrance Watch Tower as well as exploring remote areas that few people know about. After each days trek we site ourselves in the very best camps which makes the experience even more magical and comfortable. 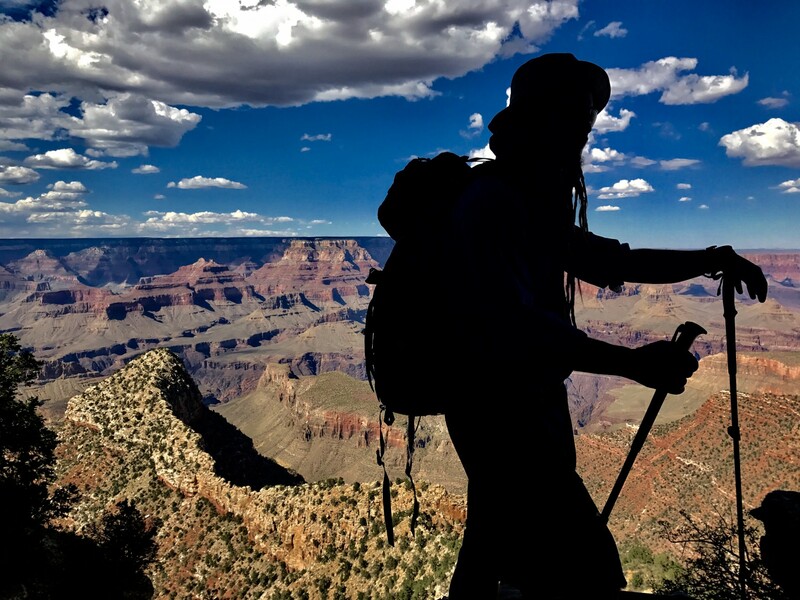 In addition to hiking, we’ll also explore the best museums and visitor attractions at the Grand Canyon alongwith tasty dinners, cosy campfire, and endless star-filled night sky will be thesetting each evening. We finish our adventure with a celebrationin Las Vegas, an energetic city which couldn’t contrast more to the natural beauty we have been immersed in! 4th July Day 1: Depart London Heathrow to Flagstaff via Phoenix. Flagstaff is the nearest airport to theGrand Canyon and avoids a longoverland transfer. The flight lands inthe evening and this is followed by atransfer to the hotel and accommodation. 5th July Day 2: Full day to relax and enjoy the day and the new surroundings. Night in the hotel included. 6th July Day 3: Bright Angel & North Kaibab Trail. Your guide will collect the group from the hotel in Flagstaff and begin our drive to the North Rim of the Grand Canyon. En route we'll cross the Colorado River near Lee's Ferry, where the Old NavajoBridge (built in the 1920's) is suspended 300 feet above the water. Your guide will drop you off so you can walk across the historic bridge and snap pictures of this amazing spot, which marks the beginning of the Grand Canyon. Here we may see California Condors perched on the rafters beneaththe bridge. Following breakfast at the Old Navajo Bridge, we'll continue on our journey to the NorthRim of the Grand Canyon and the famous Grand Canyon Lodge. We'll check out the lodge and its massive picture windows before hiking to Bright Angel Point, one of the most impressive views in theCanyon. After a hearty lunch we'll hike down the famous North Kaibab Trail to Coconino. At the end of the trek we'll set up camp and enjoy our first tasty dinner of the trip. Each evening you can shower and relax around the campfire or go with the guide on a moon-lit walk on the rim. Today is a very special day and in many ways a super high point of this tour. We'll enjoy another relaxing breakfast before heading out to a remote, little-known trail. The route takes us along the rim through pine forests to a phenomenally breath-taking spot: a peninsula of rock that sticks out over the edge of the Canyon allowing stunning views in all directions. What's better is this spot is hardly known and we'll likely have the day mostly - or completely - to ourselves. The afternoon route heads further in to the Grand Canyon with it impressive rock structures and incredible views. At the end of the hike we’ll enjoy an outdoor dinner at another remote, awe-inspiring viewpoint and overnight camp. We'll break camp and drive again over the Colorado River at Lee's Ferry. We'll turn west and enter the Park from the East Entrance this time, where we'll stop at the famous East Entrance Watch tower.This amazing structure is a replica of a Native American tower found in the same location by early explorers centuries ago. After driving along the famous Desert View Drive, we'll reach the dropping off point for our amazing hike on the Grandview Trail. As the name implies, phenomenal views aboundon this hike! You can see for more than 100 miles on a clear Grand Canyon day from the top. 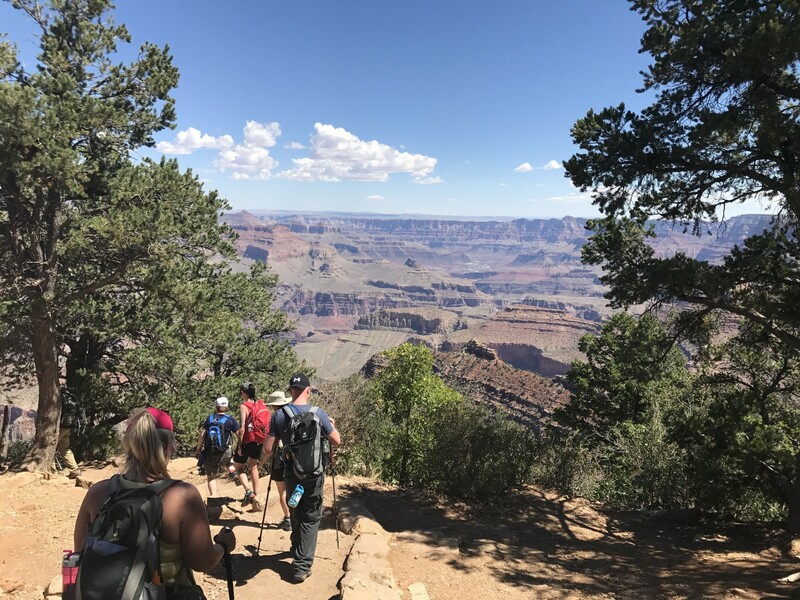 Originally used by native peoples of the Grand Canyon, the Grand view Trail as we know it today was built as access to the Last Chance Mine when copper was discovered on Horse shoe Mesa in 1890. We'll hike down to Coconino Saddle, a low point on a ridge that separates two impressive side canyons. We'll then enjoy a snack before turning back and relishing our hike back to the Rim. After our hike we'll drive along the South Rim to stop at some of the more impressive viewpoints, then shuttle back to Flagstaff for the conclusion of our tour. 10th July Day 7: today we transfer to Las Vegas, entertainment capital of the world. We’ll be travelling on the iconic Route 66 using the fabulous American Greyhound bus for this transfer and on arrival we can free to relax and explore – check out the famous sound-and-light fountain shows, fake erupting volcanoes, Elvis impersonators and replicas of everything from the Eiffel Tower to the Sphinx! It’s not subtle, but it’s a real contrast to the past week and great fun! Night in a hotel. We are free to explore or relax until we transfer to the airport for our International flight home or stay longer and have your return flight arranged for any chosen day. Group return flights are normally inthe late afternoon/evening.You are welcome to extend your trip and we can arrange a return flight back the UK on anygiven day. 12th July Day 9: Arrive back in London Heathrow in the afternoon/evening. Due to the nature of this trip groups sizes are restricted to 12 people per expedition. The cost of the trip is £2,495. There is a £250 trip deposit (non-refundable) to book your place and the remaining balance is paid in small instalments. Los Vegas Airport of around $20. It also does not include any entrance fees for any optional sites youmay wish to visit. Remember to allow extra for drinks, souvenirs and other personal expenses. It does not include personal travel insurance, three/four meals as specified, tips for local crew. It also does not include any entrance fees for any optional sites you may wish to visit. Remember to allow extra for drinks, souvenirs and other personal expenses. Group flights leave from London Heathrow or Gatwick and are booked by The British Expedition Company under ATOL licence 10222. By travelling with The British Expedition Company you are protected by the Civil Aviation Authority (CAA). We are most likely to fly with Delta Airlines or United Airlines, however, we don’t always fly with the same airline so this is a guideline only. You will usually receive confirmed flight details several months before departure. Our itineraries are always based on current flight schedules and are therefore subject to change by the airline. We camp for three nights in the Canyon and stay in hotels when in towns. The campsite has outhouses containing composting toilets and there is plenty of natural water to use for washing. It is rustic, which is natural given its remote location! Hotels are good (though not luxurious) with ensuite facilities, though standards may vary between hotels. All food is included when camping. The food is great, varied and there is plenty of it! Three or four meals (depending on flight departure time) are not included as specified in the itinerary. Our local support crew is made up of local guides, drivers, and cooks. Your local guide knows the local area well, and is a great source of knowledge about local customs and lifestyles. Your guide will arrange a collection of tips for the local support crew at the end of your trek. Tipping is not obligatory, but once you see how hard they work on your behalf you will be happy to donate something! Vehicles take the group to the trailhead and pick us up at the end. All luggage, food, water and camping equipment is carried by mules into the campsite. It is essential that your luggage is carried in either a soft expedition kitbag or soft rucksack. These are easily loaded onto the mules. Hard-sided luggage is unsuitable. You should also bring a small daypack to carry items needed for each day’s trek. Your safety, and that of the rest of the group, is our highest priority. Our trips are designed and planned with safety in mind. Your crew will be equipped with radios and emergency satellite phones, extensive medical kit and other safety apparatus where necessary. They always have access to our 24-hour emergency back-up in the UK. Our leaders are responsible for safety on the trip, and will make any changes to the itinerary they deem necessary should local conditions dictate. Trails are varied and largely over rocky or sandy ground. Some trails are well-maintained, others more overgrown and make the walking harder. There are numerous creek crossings where we may get wet! There are many uphill and downhill sections, with the descent and ascent of the crater rim being particularly strenuous. Mooney Falls is very challenging for those who are nervous of heights or enclosed spaces – please contact us if you are concerned about it. The main challenge is usually the heat, which can be intense as the canyon walls and the sand tend to reflect and radiate heat onto us, even when the actual temperatures are not very high. This trek takes place in challenging wilderness terrain which should not be underestimated. You will trek approximately 40 miles on this trip overall. It’s much more useful when training to think about the type of terrain you are trekking over and the amount of hours you need to walk for! Be prepared for all weathers and temperatures. Weather conditions can change quickly. We provide you with a detailed packing kit-list on registration. 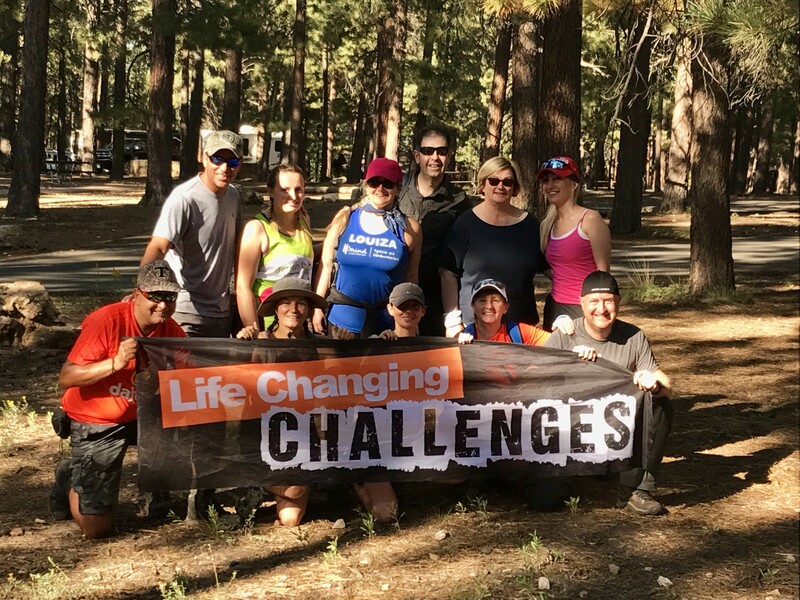 Our challenges attract people of all levels of experience and fitness, all ages and backgrounds. We expect all participants to train hard in advance to achieve this challenge, but we respect everyone’s limits. We design our challenges so that everyone can go at their own pace: this is not a race. A valid ten-year passport is essential; it should be valid for at least the duration of your stay. British passport-holders are eligible for the Visa Waiver Program (VWP) provided they fulfil the requirements and have registered online with ESTA (Electronic System for Travel Authorization) before travel. We will provide you with further information nearer to departure. Other nationalities are responsible for checking their entry requirements. We insist that you have had a Tetanus injection in the last ten years. You should always check with a GP or travel clinic for up-to-date travel health advice as it does change. Los Vegas Airport of around $20. It also does not include any entrance fees for any optional sites you may wish to visit. Remember to allow extra for drinks, souvenirs and other personal expenses. *The only costs not included are VISA’s, travel insurance, tips, lunch and drinks in the hotel.